Don't Pay High Prices to LARGE DATA RECOVERY COMPANIES! *Drop Offs Are by Appointment Only! Whether its business or personal data loss… We can help. Affordable Smart Phone Data Recovery – All For One Flat Fee. Protech Data Recovery offers a SMART PHONE ONE RATE FEE; $385 for any smart phone or digital tablet recovery service. And if we can’t recover your data for any reason, there’s no charge. No BS! We Provide Data Recovery for those across the United States! Why Do Smart Phones, Digital Tablets & Memory Card Devices Lose Data? Non-Physical Failure – The mobile, smart phone or media device is powered on and in working order but some data or files cannot be accessed such as reformatting, accidental deletion of your important files, bad sectors, lost volume, software corruption or virus infection. Physical Failure – The mobile, smart phone or media device is not powering on or not functioning due to accidental drop, overheating, liquid damage, broken usb or power connectors, and much more. What Causes Smart Phones, Digital Tablets & Memory Card Device Failure? We Offer the Most Inexpensive iPod, iPad, iPhone, Smart Phone, SD Card and USB Flash Drive Data Recovery Services in the industry. Protech Data Recovery Services is one of the leading smart phone, memory card & digital tablet data recovery companies in the US today. Protech Data Recovery Services uses advanced proprietary data recovery technology and techniques to recover inaccessible data from nearly all types of smart phones and removable media devices. If we can’t recover your data, there’s no charge, period! The smart phone and removable media constitutes an important part of any computing machine for this reason its perfect working is imperative for any system. Most of the media as usb and flash memory, sd cards, smartmedia, compact memory and ipod are known for easy data carrying and transportation; due to this they are more likely to get virus attacks and data loss. Therfore, media data recovery is needed or such devices to delicately recover and restore data. Our highly trained iPod, iPad, iPhone, Smart Phone, SD Card and USB Flash Drive data recovery team has 10+ years of hands on experience in dealing with miscellaneous media with damage chips, device failure and crash problems. If you spill water on your Smart Phone, Blackberry, iPhone or Droid, dropped into the water, get it out of water immediately, towel dry it and put it into a bag of rice to dry it. You have to wait for 4 to 5 days until the Smart Phone, Blackberry, iPhone or Droid is totally dry, before that, don’t attempt to power on the Smart Phone, Blackberry, iPhone or Droid, or the the hardware and battery inside Smart Phone, Blackberry, iPhone or Droid may short out, which can utterly destroy your Smart Phone, Blackberry, iPhone or Droid. When the Smart Phone, Blackberry, iPhone or Droid dry’s, you can try to turn it on. Some users get the Smart Phone, Blackberry, iPhone or Droid logo after turning the device on, but can’t get the Smart Phone, Blackberry, iPhone or Droid connected to computer via the USB cable. If this happens, you will not be able to use the Smart Phone, Blackberry, iPhone or Droid anymore. If you want to recover data from the water damaged Smart Phone, Blackberry, iPhone or Droid, you can restore the data from the backup in Smart Phone, Blackberry, iPhone or Droid software. The Smart Phone, Blackberry, iPhone or Droid software backup can be used for restoring your new Smart Phone, Blackberry, iPhone or Droid. If you haven’t backed up your Smart Phone, Blackberry, iPhone or Droid prior to the episode and want to recover your recover your lost text messages, address book, contacts, emails, calendar, photos, videos and other types of information, we suggest you leave it to the professionals to recover your data from your Smart Phone, Blackberry, iPhone or Droid device. More attempts to do this on your own with 3rd party software downloaded from the Internet can damage your Smart Phone, Blackberry, iPhone or Droid even further, making our job more complicated or impossible to have a successful recovery. RTS Data Recovery can also help recover your Smart Phone data from beyond water-damaged… accidental deletion, accidental drop, iOS update failure, corrupt SIM card, any data loss situation. We provide data recovery for all Smart Phones; BlackBerry, Androids, all Mobile Tablets, Apple devices including the iPhone, iPad and iPod. Always at our low ONE RATE FEE. No BS! There is no additional charge for emergency services. Each recovery job is treated as an emergency! You can expect12 to 24 hour turnaround or less in most cases. Even if your iOS device is permanently damaged, our data recovery specialists use advanced proprietary data recovery technology and techniques to recover inaccessible data. We’re positive in our results. If your data is not recoverable for any reason, there’s no charge, period! 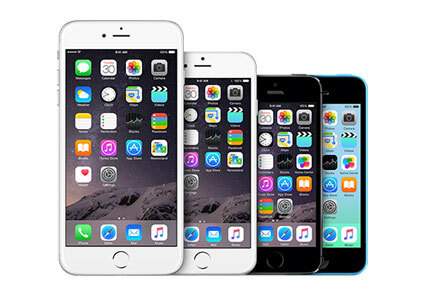 Affordable iPhone Recovery – All For One Flat Fee. Protech Data Recovery offers a ONE RATE FEE; $385 for any iPhone recovery service. And if we can’t recover your data for any reason, there’s no charge. No BS! We Offer the Best Affordable Choice for iPhone Recovery Services in the industry. Consider a scenario wherein you deleted or formatted your iPhone’s SIM card by accident? The data from it is completely gone and you are wondering how to get all your data back. Or even worse, you dropped it or accidentally got water on it. No need to worry! Protech Data Recovery can help you in all kinds of situations. Protech Data Recovery Services is one of the leading iPhone recovery companies in the US today. We offer expert iPhone recovery services for individuals and businesses alike. We use advanced proprietary data recovery technology and techniques to recover inaccessible data from all style of iPhones, in any data loss situation. No matter what caused your iPhone to fail, we have the required skills, experience and specialized tools to successfully recover your lost text messages, address book, contacts, emails, calendar, photos, videos and other types of information. From system crash, accidental formatting or deletion, accidental drop, water damage, our iPhone recovery specialists can retrieve damaged, inaccessible, lost data from SIM cards and the iPhone itself. Often times we can recover data that cell phone companies cannot. So if your iPhone’s SIM card cannot be recognized or mounted on your phone or card reader, don’t panic. Most likely, your text messages, address book, contacts, emails, calendar, photos, videos and other types of information can be recovered. Our highly trained iPhone data recovery team has 10+ years of hands on experience in dealing with many device failures issues. If we can’t recover your data, there’s no charge to you, period! Affordable Droid Phone Recovery – All For One Flat Fee. Protech Data Recovery offers a ONE RATE fee; $385 for any Droid Phone recovery service. And if we can’t recover your data for any reason, there’s no charge. No BS! 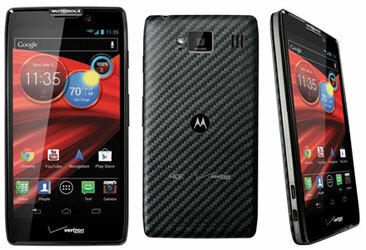 We Offer the Best Affordable Choice for Droid Phone Recovery Services in the industry. Consider a scenario wherein you deleted or formatted your Droid Phone’s SIM card by accident? The data from it is completely gone and you are wondering how to get all your data back. Or even worse, you dropped it or accidentally got water on it. No need to worry! Protech Data Recovery can help you in all kinds of circumstances. Protech Data Recovery Services is one of the leading Droid Phone recovery companies in the US today. We offer expert Droid Phone recovery services for individuals and businesses alike. We use advanced proprietary data recovery technology and techniques to recover inaccessible data from nearly all types of Droid Phones, in any data loss situation. No matter what caused your Droid Phone to fail, we have the required skills, experience and specialized tools to successfully recover your lost text messages, address book, contacts, emails, calendar, photos, videos and other types of information. From system crash, accidental formatting or deletion, accidental drop, water damage, our Droid Phone recovery specialists can retrieve damaged, inaccessible, lost data from SIM cards or Micro-SD cards and the Phone itself. Often times we can recover data that cell Phone companies cannot. So if your Droid SIM card or Micro-SD card cannot be recognized or mounted on your Phone or card reader, don’t panic. Most likely, your text messages, address book, contacts, emails, calendar, photos, videos and other types of information can be recovered. Our highly trained Driod Phone data recovery team has 10+ years of hands on experience in dealing with many device failures issues. Affordable BlackBerry Phone Recovery – All For One Flat Fee. Protech Data Recovery offers a ONE RATE fee; $385 for any BlackBerry Phone recovery service. And if we can’t recover your data for any reason, there’s no charge. No BS! 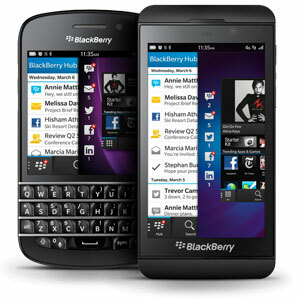 We Offer the Best Affordable Choice for BlackBerry Phone Recovery Services in the industry. Consider a scenario wherein you deleted or formatted your Blackberry Phone’s Micro-SD or SIM card by accident? Protech Data Recovery Services is one of the leading BlackBerry recovery companies in the US today. We offer expert BlackBerry recovery services for individuals and businesses alike. We use advanced proprietary data recovery technology and techniques to recover inaccessible data from nearly all types of Blackberry Phones, in any data loss situation. No matter what caused your Blackberry to fail, we have the required skills, experience and specialized tools to successfully recover your lost text messages, address book, contacts, emails, calendar, photos, videos and other types of information. From system crash, accidental formatting or deletion, accidental drop, water damage, our Blackberry Phone recovery specialists can retrieve damaged, inaccessible, lost data from SIM cards, Micro-SD cards and the phone itself. Often times we can recover data that cell phone companies cannot. So if your Blackberry SIM card, Micro-SD card cannot be recognized or mounted on your phone or card reader, don’t panic. Most likely, your text messages, address book, contacts, emails, calendar, photos, videos and other types of information can be recovered. Our highly trained iPhone data recovery team has 10+ years of hands on experience in dealing with many device failures issues. 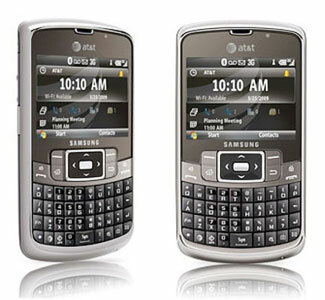 Affordable Pocket PC Phone Recovery – All For One Flat Fee. Protech Data Recovery offers a ONE RATE fee; $385 for any Pocket PC Phone recovery service. And if we can’t recover your data for any reason, there’s no charge. No BS! We Offer the Best Affordable Choice for Pocket PC Phone Recovery Services in the industry. Consider a scenario wherein you deleted or formatted your Pocket PC Phone’s SIM card by accident? Protech Data Recovery Services is one of the leading Pocket PC Phone recovery companies in the US today. We offer expert Pocket PC Phone recovery services for individuals and businesses alike. We use advanced proprietary data recovery technology and techniques to recover inaccessible data from nearly all types of Pocket PC Phones, in any data loss situation. No matter what caused your Pocket PC Phone to fail, we have the required skills, experience and specialized tools to successfully recover your lost text messages, address book, contacts, emails, calendar, photos, videos and other types of information. From system crash, accidental formatting or deletion, accidental drop, water damage, our Pocket PC Phone recovery specialists can retrieve damaged, inaccessible, lost data from SIM cards and the phone itself. Often times we can recover data that cell phone companies cannot. So if your Pocket PC SIM card, memory card cannot be recognized or mounted on your phone or card reader, don’t panic. Most likely, your text messages, address book, contacts, emails, calendar, photos, videos and other types of information can be recovered. Our highly trained iPhone data recovery team has 10+ years of hands on experience in dealing with many device failures issues. 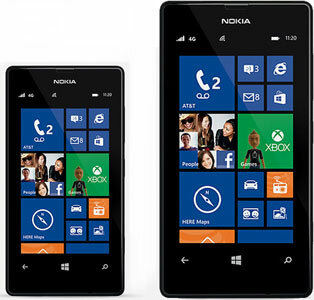 Affordable Windows CE Phone Recovery – All For One Flat Fee. Protech Data Recovery offers a ONE RATE fee; $385 for any Windows CE Phone recovery service. And if we can’t recover your data for any reason, there’s no charge. No BS! We Offer the Best Affordable Choice for Windows CE Phone Recovery Services in the industry. Consider a scenario wherein you deleted or formatted your Windows CE Phone’s SIM card or Micro-SD card by accident? Protech Data Recovery Services is one of the leading Windows CE Phone recovery companies in the US today. We offer expert Win CE Phone recovery services for individuals and businesses alike. We use advanced proprietary data recovery technology and techniques to recover inaccessible data from nearly all types of Windows CE Phones, in any data loss situation. No matter what caused your Windows CE phone to fail, we have the required skills, experience and specialized tools to successfully recover your lost text messages, address book, contacts, emails, calendar, photos, videos and other types of information. From system crash, accidental formatting or deletion, accidental drop, water damage, our Windows CE phone recovery specialists can retrieve damaged, inaccessible, lost data from Sim cards, SIM cards or Micro-SD cards and the phone itself. Often times we can recover data that cell phone companies cannot. So if your Windows CE SIM card, Micro-SD card cannot be recognized or mounted on your phone or card reader, don’t panic. Most likely, your text messages, address book, contacts, emails, calendar, photos, videos and other types of information can be recovered. Our highly trained iPhone data recovery team has 10+ years of hands on experience in dealing with many device failures issues. If you need further assistance or have any questions, Call Us 24/7 Toll Free at: (877) 967-3548. We will provide you with the best possible assistance. Get FREE Data Recovery Diagnosis for your smart phone now! RAID 5 striping: RAID 50 is a solid choice for your RAID array. It combines the performance of RAID 5 to be striped increasing performance and capacity without adding disks to each RAID 5 array. The great thing about RAID 50 is you will still get the redundancy in each RAID set as only one drive is needed for parity, no matter the amount of disks you choose to use the each array. This is great for performance and disk space, but remember it only allows one drive failure. The more drives you have in the array the more risk you are at disk failures if not properly monitored. Although RAID 5 has many benefits with performance and it can tolerate a single drive failure, a second drive failure will bring the entire array down. This is the most common type of RAID we receive from businesses. The main reason they fail is because of two drive failures. Most companies don’t notice when the first drive fails and this leaves the RAID 5 vulnerable since it can only tolerate one drive failure and not two. RAID 5 data recovery can be very difficult since every failed drive needs to first be repaired. The correct order is needed, block size, offset, and which drive failed first must be determined with hex. SATA, IDE, EIDE, SCSI SSD Hard Drives: If you notice any irregular noise coming from the hard drive, it means that the hard disk drive in question has either crashed or is going to crash very soon. Please, try to back up your data, while the computer is still running. Increased noise signals some unsuitability and is usually the first sign of a hard drive crash. Shut down your computer, if the operating system has stopped working and there is clicking, scratching or grinding noise coming from hard drive. Keeping the system running at this stage may damage the platters to the extent that it will destroy all the data. Do not even try to hook it up with another computer as the drive is already crashed and the data is inaccessible. Sometime, you feel that the drive is spinning but it is not detected by BIOS. This is another sign of hard drive crash. This case should also be treated with care. Our hard drive data recovery engineers are adept and well trained to handle any type of data loss. They give personalized attention to the customer and walk them through the recovery process. Mac and iOS Devices: Many of our clients use Mac and iOS devices to store documents, music, emails, and other important files. Both Mac and PC are known to have problems regarding data loss. It can be due to many reasons as to why data loss occurs from a hard drive-dropped hard disc, water or fire damage, or any other problems. Sometimes data recovery is essential when the data is deleted or if the data or drive is not accessible. There is also a possibility of data loss due to a virus attack, which can be recovered by a skilled data recovery technician. Our engineers are adept at Mac data recovery. They are well trained and can handle any type of data loss. They give personalized attention to the customer and walk them through the recovery process. Toshiba, Sony, Dell, HP Laptops: Laptop hard disk drives work in the same way as desktop hard disk drives. The only difference between the two is that parts used in laptop hard disk drives are significantly smaller in size. This size reduction of parts makes laptop drives fragile. These drives need experienced technicians in recovery situations as smaller part size makes data recovery more complex. The cost of recovery for laptop hard drives is typically a little more than a desktop hard drive. We work with all operating systems including Windows, DOS, MAC, Novell, UNIX, and Linux. All hard drive manufacturers and models. We have an exceptionally high recovery rate on laptop hard drives. We have performed data recovery from all laptop manufacturers of hard drives, including IBM, Toshiba, HP, Sony, Fujitsu, Hitachi, Maxtor and many others. For further information, please contact us and one of our skilled Laptop data recovery technicians will help you. Our laptop data recovery engineers are adept and well trained to handle any type of laptop data loss. They give personalized attention to the customer and walk them through the recovery process. iOS, Windows CE & Android: Protech Data Recovery is one of the leading smart phones recovery companies in the U.S. today. We offer expert recovery services for individuals and businesses alike. We use advanced proprietary data recovery technology and techniques to recover inaccessible data from all style of and smart phones, in any data loss situation. From system crash, accidental formatting or deletion, accidental drop, water damage, our smart phone data recovery specialists can retrieve damaged, inaccessible, lost data from SIM cards and the phone itself. Digital Media: Most removable media such as flash memory and USB, SD cards, compact memory and iPod are some of well known external removable devices for easy data carrying, transportation and also for storage; it is the fact that due to this application devices, they are more prone to get affected by virus attacks, data loss and cracks. Our removable media recovery engineers are experienced in the latest data recovery methods and can effectively recover lost, deleted, corrupted or formatted photos and video files from various memory card types including SD Card, MicroSD, SDHC, CF (Compact Flash) Card, xD Picture Card, Memory Stick and more. We can recover your lost emails, contacts, address book, text messages, calendar, photos, videos and other types information. Call us 24/7 (877) 967-3548. *Drop Offs Are Welcome by Appointment Only! Protech Data Recovery - We Recover What Matters Most. Don't Pay High Prices to LARGE DATA RECOVERY COMPANIES... Start your Data Recovery, today! As of Apr 26 , we currently have 3 appointments available! Protech Data Recovery works with clients from across the country, helping with; hard drive, disk, & RAID data recovery 24/7.